You'll be £10.00 closer to your next £10.00 credit when you purchase In Napoleon's Shadow. What's this? Louis-Joseph Marchand’s intimate memoir of his time as Napoleon’s valet is the last of the significant Napoleonic manuscripts to be translated into English and a unique and precious insight into the last days of Napoleon’s Imperial project. 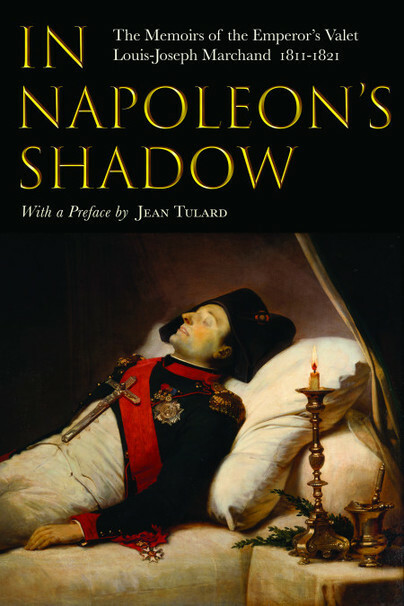 Serving alongside the Emperor from the apex of his reign and through his eventual demise, Marchand depicts, in remarkable detail, the Russian campaign, the campaigns of Germany and France, Napoleon’s exile to Elba and subsequent escape, his defeat at Waterloo. Friend and confidante to the leader, Marchand was beside him at the Tuileries during the Hundred Days, and he was present to hear Napoleon’s last words, ‘France… my son… the army…’ on the island of St Helena. This sincere and authentic testimony from a man with ‘nothing to hide, nothing to apologise for’ is both a meticulous historical record and a fresh personal perspective on Napoleon. ‘In this work’, Tulard remarks in his preface, ‘the Emperor speaks freely. Listen…..Marchand presents the somewhat familiar history of the Emperor's decline as completely new territory through conversations, fond stories and personal encounters'. Virtually essential reading for all students of a brilliant leader. Those who admire 'L'Empereur', who believe he has been misrepresented by Allied propaganda and are fascinated by the minutiae of his life will adore this book and derive hours of intense pleasure from reading about his deplorable treatment by the agents of 'Perfidious Albion'. For them, the purchase price will be money well spent. This is a most rewarding read for the history enthusiast and the researcher but it is also an absorbing account of one of history's giant figures written in rich detail and with many facts that have not appeared in any other account of Napoleon. The writer was a close personal servant who might fairly be described as a friend and certainly as a close confident, particularly in the final years of exile. The reader soon knows that the author was no modest household servant. For example, Marchand was chosen to record Napoleon’s Summary of Julius Caesar’s Wars, published in 1836. The emperor openly described Marchand as a friend and entrusted him with some of his most precious valuables. On his deathbed, Napoleon made Marchand a count, a title later confirmed by Napoleon III. This memoir is by a literate and knowledgeable man who fully realized he was writing about an era and a leader of great import.